Beast mode quotes: Greatness is achieved through beast mode. Using COMPEX will help you in SO MANY WAYS. Use code "GYMQUOTES" for a massive 20% off!! Greatness is achieved through beast mode. If you want to become the best version of yourself.. If you want to be the best that you can be.. Then you gotta go beast mode. Over, and over and over again. There’s really no other way to achieve greatness than hard work. Go beast mode and train hard. And you’ll achieve all your goals. 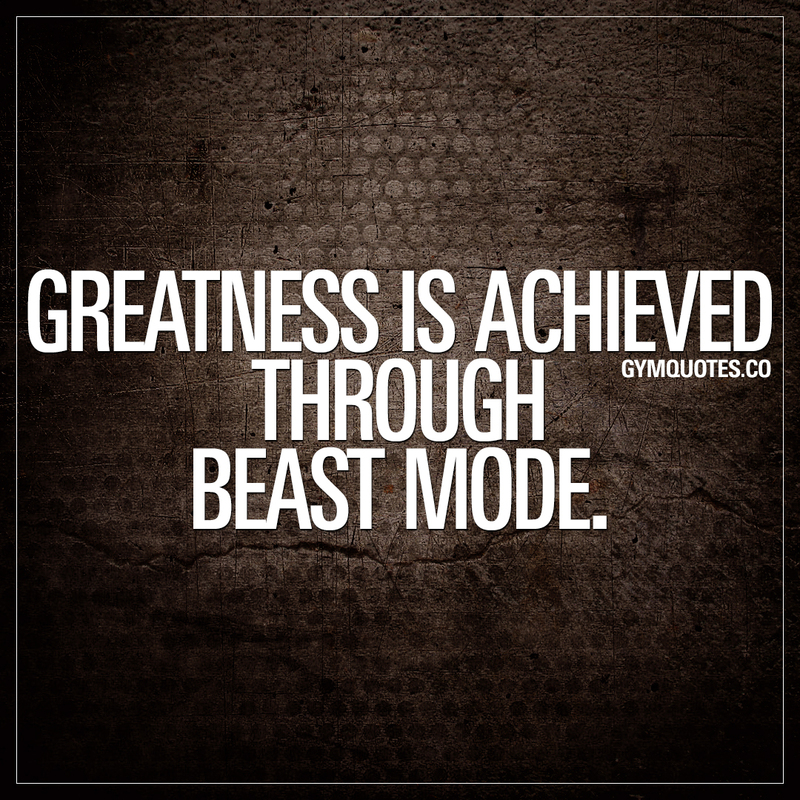 This “Greatness is achieved through beast mode” quote (image and text) is copyright © Gym Quotes 2018. All rights reserved. Become part of Gym Quotes today! We believe in the power of the mind and body and we love the gym and working out! Get your inspiration and motivation from our gym and workout quotes!